Imagine Led Zeppelin, minus the fantastical lyrics, with a dash of the Stone Roses in their prime. Then turn up the volume. The Music's self-titled album is far from brilliant, but it's an entertaining rock debut. It makes up in energy what it lacks in other areas. It careens from the heavy electronic raverock ("Take the Long Road And Walk It") to slow flittering buildups ("Human"), the vaguely gothic ("Getaway"), roaring dance music ("Disco"), the Zeppelin homage of "Turn Out the Light" ("Baby-baby-bay-bay-bee..."), to the desperately catchy ("The Truth Is No Words"). 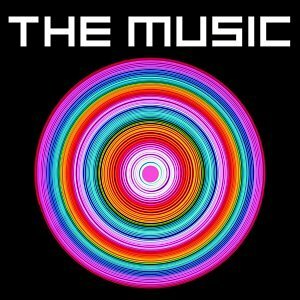 "The Music" is lacking in some areas; on first listen, the songs sound rather alike. It takes more than one listen to fully separate and appreciate the various songs. Good luck deciphering the lyrics. Often Robert Harvey launches into earsplitting yowls, reminiscent of Robert Plant -- and even when he's not, the singing seems to be swamped over by the music, like the drums and guitar. The big bonus? It's really, really catchy. Bass, guitar, percussion, the occasional waver and electronic blip, and Harvey's high vocals all weave together into a huge, dark, roaring mass that feels both familiar and fresh. They haven't broken free enough to be entirely their own animal, but they're guaranteed to make people get up and dance, not caring what the influences are. 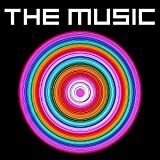 "The Music" is far more entertaining than their lackluster name would imply. Though there are wrinkles to be ironed out, this album has more than enough energy and verve to be considered a win. The Music was formed in the United Kingdom and their debut is cheap, ear-opening, heavy and remarkable. Although it's even unfair to compare them to Led Zeppelin (like Maxim Blender did at one point), the band does not gain as much attention as other flash-in-the-pan rock groups such as Good Charlotte, The White Stripes, Hot Action Cop and Linkin Park. However, The Music may be the next biggest thing next to Coldplay. Unfortunately, what attracted me to the album was the cheap price (just as American Hi-Fi's CDs). That is what caused me to listen to the disc at a nearby listening station and I bought it a half hour later! Just like Radiohead, The Music uses technical skills, computerizes and uses real instruments to create a lively noise and it works. ESSENTIAL TRACKS: "Take the Long Road And Walk It", "Float", "Turn Out the Light", "The People", "Getaway" (perhaps the best song on the disc, this reminds you of something that should be on a 'Grand Theft Auto' videogame, a new show on the FX channel... or better yet, to cruise to in a sports car in a local downtown area) & "Disco"
May I just say that I have been a fan of this sound for years? I love the riff-heavy, atmospheric, near-chaotic sound that bands like Oasis and The Verve offered up. I first heard of the Music on an edition of "You Hear It First" on MTV. They played a few seconds of the video of "Take The Long Road And Walk It", and I was immediately hooked. Next, I looked up the Music's album on Amazon, and listened to the first five track samples. That sealed it. I wanted the album. It hasn't left strayed far from my CD player since I bought it. I can't say that I dislike any song, though at times, I must admit that the sheer loudness of some parts can get to me. The only thing that might stop this band from doing huge things is that their sound is slightly limited. They seemingly are unable to keep the tempo slow for very long. A few songs have started as slower ballads, but at some point, have sped up. Perhaps the band feels out of place doing slower songs. Also, the lyrics are less than Shakespearean (I won't go so far as the Editor and say that they were little more than an excuse for the lead singer to wail, but they aren't exactly poetry!) However, the singer, Robert Harvey is such a talented frontman, that his exploitation of his vocal chords make the words seem like nothing less than profound. Drummer Phil Jordan, Bassist Stuart Coleman, and guitarist Adam Nutter (an unfortunate name if you use it like the Brits do) couldn't play any less efficiently and consistently than if they were computer music software. And Jim Abbiss does flawlessly on the production. long-lasting band. If they could add some variety into the mix, I believe that nothing could stop them. I bought this cd after hearing "Take the long road and walk it" it took me a while to get into it, but when i finally did i loved it! i saw The Music at lollapalooza this year and they are even better live. They are a breath of fresh air, it is great to see something different. I definitely reccomend this cd. It will blow you away!! Having heard this album over and over, the highlight of this debut CD is no doubt Robert Harvey's vocals, it's like a young Robert plant (Led Zeppelin's frontman) discovering his voice as a teenager. it's a boyish voice, yet very strong and assured. Harvey can basically reach frequencies only women can, and that's a compliment.. The members of this band are actually pretty young, the average being 18 or 19 years old. their debut CD is solid, it has its own unique sound, it's unlike anything ive ever heard. This cd lacks some maturity with some mild inconsistencies though. The dance (#1), Take The Long Road And Walk It (#2), The Truth Is No Words (#4), Getaway (#8) and Too High (10) are AWESOME songs, the other songs are somehow weaker but still listenable. This is a very solid debut, and is sure worth picking up. The future looks bright for these guys, if they can at their age come up with album, i cant imagine how their follow up will be. 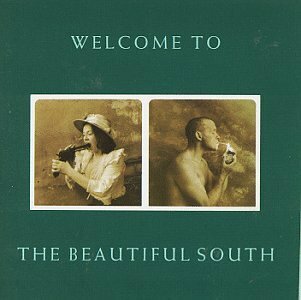 It was sheer luck that I ever heard of this band, and it's because of this album that Beautiful South would be the first CD I ever bought. Still, almost ten years later, it heads up on my top ten list. This band has the ability to write intelligent lyrics about political and social issues, cleverly disguised in poetry. Personally, I love the subtle thread of feminist defense throughout the album. You probably won't even recognize "Girlfriend" as a mutated cover of the Pebbles song from the 80's. If you're the type to just listen to music for the sake of music, it's gorgeous. If you really like to think about the message of songs, the Beautiful South will never let you down. In fact, the more I listen, the deeper my appreciation for their sensitivity and creativity gets. It's a brilliant work from a beautiful band. I like this CD a lot, but it's not one of those you can really listen to on the way to school and all. It's more of like cleaning up the house music. But anyways, there's a lot catchy and amusing songs. The lyrics are really original too. Every song is like walking in the mind of a loony tune. "Woman in the Wall" sounds like something from Edgar Allan Poe. There are songs about showbiz, politics, criminals, and of course, it even has those mushy love songs! I cant stop singing "I love you but you're boring" in the shower. All the songs are unique and entertaining. I must say, I've never heard anything quite like it. Frankly, it's bizzare, but in a friendly way. It's definately worth a listen. But if you're really going to buy it, I suggust you get the Japanese import. It's got some bonus tracks that are must haves. I got this album from my girlfriend back in 1990. She thought some of the lyrics applied to our twisted but great relationship. Turns out she was right. The sense of humor of the lyrics combined with the "sky rockets in flight" feel of the music hit it on the head. Ironically, she broke up with me shortly after! Song for Whoever was proably the soundtrack to it. Nonetheless, an excellent album. And 13 years later, I'm hearing cuts from it on the radio. Go figure. A good buy if you enjoy some wit in your drive to work! Why aren't they big in the US? The best work by TBS. Woman in the Wall and You Keep It All In are my two favorites. I meet few people in the US who dig this band. Youn can't compare this original band to anyone, they don't have as much as that "pop" sound as Heatens old band The Housemartins did. When will these guys get big? Who knows I didn't here of them until 1994 and they have been my favorite since. This album is better then the gloomy Choke which I like a lot but many songs seem to be about vomiting and loving ones self and not as cheerful as 0898. Buy it you should like it. These three youngsters who surprised a lot of people with their precocious 1995 release "I Should Coco" returned two years later with this more "grown-up" effort. First of all, it contains one of 1997's best singles - "Richard III". Recall Blur's "Song 2", the mini-anthem of sorts that finally put them on the map here in the States? Well, "Richard III" is its mischievous cousin that shoves you up against the wall and steals your lunch money. It's that good. Meant to be played REAL loud. It even has a theremin break in the middle as Gaz snarls "Tryin' to get at you, tryin' to get at you!" This album seems to love keyboards, acoustic guitars, horns, etc. Supergrass oozes '70s influences. The opening of "Hollow Little Reign" reminded me of vintage Steely Dan. "Cheapskate" creeps up on you with an up-tempo funky beat that may have you bopping around your room. "Tonight" uses horns to great effect. "Sun Hits The Sky" is yet another great track. Extra credit goes to the band for including a bonus disc (at least with the release I have) with b-sides from their previous album. This was one of the best releases of 1997. Don't miss it! This is one hell of an album! 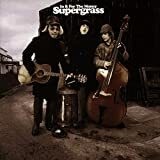 I am from Britain so I may be biased but this is easily Supergrass's best album (prior or subsequent) and one of the best Brtiish albums of the nineties. I don't know if they really made it in the States but they never really did in the Uk and it's a great shame if they are vastly underated on both sides of the Atlantic. In it for the Money has one of the best openings that I've heard and is a great poppy opener. Giving way to Richard III mid-tune the mood turns darker as Gaz and the gang launch into "Song 2" mode with a fantastic rock number. Other great hits include Sun hits the Sky, Hollow little reign, tonight and (lest I forget) Late in the Day. Its a definite improvement on I Should Coco and better than Supergrass in my view. There is not one bad song on the album each one connects with you on different levels. 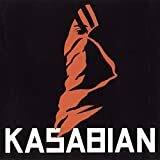 An album to compare with the best offerings of Oasis, Blur and the Manics, it deserves to get a mention when the Millenium gongs are liberally given out by the Brtish press. 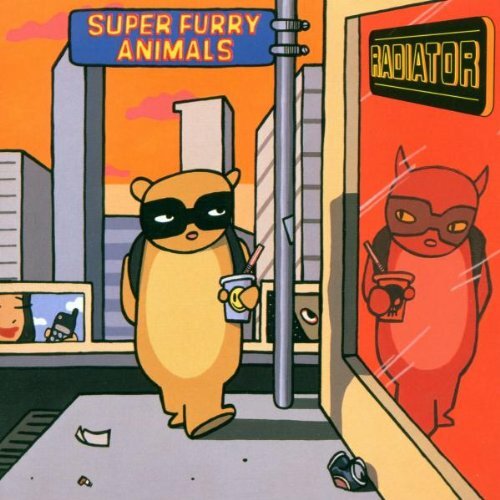 In their second album the britpop buffoons attempted to tone down a bit their habitual sillyness and came out with their best recording to date. That's in no small part due to Gaz Coombes unusually far reaching pop sensibility which grants him a broader palette of influences than that of most of his peers. The only downside to "In it for the Money" is that it doesn't contain a song as upbeat and with the imediacy of"Alright"or"Caught by the Fuzz". But give it a couple of spins and you'll probably fall in love with almost every song. It kicks off with the building crescendo of the title track leading to the great"Richard III" which is as fast,if not faster,as any track from their debut(its considerably darker though). "Late in the Day"is a ballad that starts similarly to "Space Oddity" but then is twisted towards uncharted territory and becomes,well,brilliant. "Tonight"and"G-Song" are both cool tracks but become nothing when compared to the rollicking"Sun hits the Sky".In "Going Out" Gaz applies his usual trick of turning a song completely around only by means of a chord change. "Cheapskate","It's not Me"and "You can see me"all walk the line between an acoustic part and a heavy and raucous bit. "Hollow little reign"uses a wah wah pedal(!?!? )to set the mood and by the time the sonic experiment called"Sometimes I make you Sad" halts to a stop you'll have no choice but to play the record from the beginning and be again marvelled at such inventiveness. 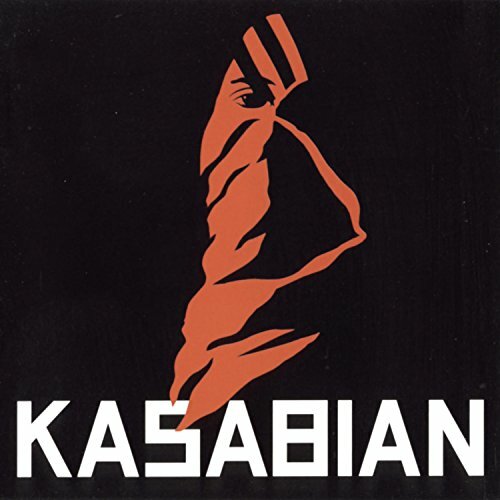 This is their best album.Easily better than anything the likes of Oasis ever managed.Richard III,Going Out,Late In The Day and the title track are all top quality.If you rated Blurs 3 "Britpop"(horrible term really) albums from the 90s then get this.Its up there with them.Simple as that. I bought this album for one single song - The Good Will Out. I figured the rest of the album would be OK, but didn't know what exactly to expect. When I first listened to it, it completely amazed me. 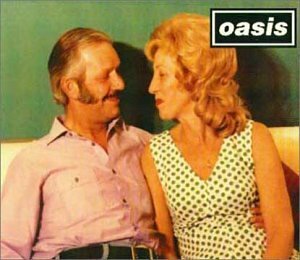 There are songs which I recognized, like All You Good Good People (which sounds a little too much like Oasis for me to love it... sorry), Come Back To What You Know and My Weakness Is None Of Your Business, which were fantastic, but every other song on the album is great too. I wasn't sure whether it was worth buying it, but now I can't live without it! 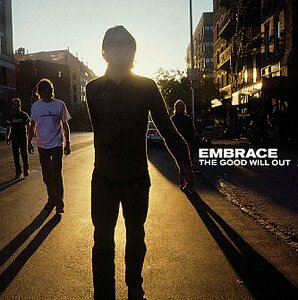 I think Embrace should be recognized as one of the best alternative bands ever to come out of the UK. It doesn't matter what mood you're in, this album is always perfect to listen to. You don't have to love similar music - I'm not a big fan of Oasis, or The Verve, or any big alternative bands like that, but Embrace really are excellent, and I would give it 5 stars except for one or two songs which just get on my nerves a little bit. Buy it. If you have any doubts, I think it'll surprise you too. The Good Will Out is an amazing album. I think it puts Embrace on the top of the British music scene as a powerful song writing force that has come of age. Although, sadly, their music will probably not hit the US charts as it has the UK charts (which means no tour of the US in the near future) due to the poliferation of wack pop groups and image driven gimp bands. The album is based around the center piece, "All you good good people", which is was got me interested. Immediately after listening to the album a few times other sadder more plaintive songs jumped out like, "That's all Changed Forever" and "Fireworks", two calming yet uplifting ballads. 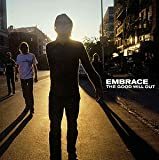 If you are a fan of the Verve and need something to fill the void of their breakup, then listen to "The Good Will Out". It is an album that will uplift you during your darkest, drunkest times. Okay, so I'd give this album 5 stars if it were consistently good. What I mean is, there are songs on here that are simply amazing: grand anthems, sweeping choruses, majestic orchestrations, etc. Yeah, it sounds over the top, but it is & it's done in a good way- as only the British know how. Like I mentioned earlier, the only problem is that not every track follows this formula; not every track is up to par. Some songs are rather straight-forward & bland. But the good songs are SO GOOD. Songs like "Retread," "Come Back To What You Know," "Higher Sights," "My Weakness Is None Of Your Business," "Fireworks," & "That's All Changed Forever" use strings & orchestrations to build to an emotional climax. These songs are tremendously moving- it's why I love music so much! "All You Good Good People" is one of their better known songs that uses a full orchestra- horns & strings- in more of a heavy setting. It's a great introduction that will lift you off your feet- check out the intense cresendo & how it lifts you up & drops you into a rousing interlude. "The Good Will Out" is probably the best song on here. It's a classic album closer: linked-arms-sing-a-long. The horns are great too- it's a poignant song without dipping too much into balladry. The rest of the songs- like "Blind," "I Want The World," & "The Last Gas"- are okay at best, but don't live up to the excellency of the aforementioned tracks. I wouldn't miss them if they were off the album- at least you'd have a stellar EP. (Well, it'd be longer than an EP.) But that's typical of Embrace- many of their albums feature incredible individual songs but a handful of lackluster ones. However, at any rate, this album (their first) features the most songs where they're at the top of their game. They seemed to be on to something. Too bad they never caught on in the States, but at least we had the good fortune to have this album released (their only Stateside release). If you like this then you should also check out the import for Fireworks- their greatest hits. That way you can bypass the lackluster [stuff] in their other 2 albums. But there are definitely "non-hits" on The Good Will Out that are worth a listen. And for that reason, check out this album. this album has blown me away. Before listening i had heard "All You Good Good People" and "Come Back To What You Know". I didn't expect anything as good as the singles but i got better. "My Weakness..." is an excellent mix of an emotional ballad and an epic football chant. "One Big Family" is a noisy shout-a-thon. "Retread" for me was a stand out track, especially the breath taking outro. "Fireworks" is an excellent sentimental ballad. "That's All Changed Forever" is a quiet epic, getting bigger and bigger throughout and "The Good Will Out" is a great end to an amazing album, especially with the "Hey Jude" style sing-a-long outro. This is an album for getting up in the morning, singing along to in the car, playing on the pub jukebox and sending you to sleep. The soundtrack for your life. (Darker, Break Me Gently (Incidental), Down To Sea, Your Shadow Lay Across My Life, Valley, Crunch and Far From Grace) but most of this album consists of fillers. Tracks such as Blue Water, Analog Bass, Blues Tune, Fourty Five, Suitenoise, Man Who Told Everything (Summer Mix) and Acoustic No.1 would have done nicely to fill the dissapointing tracks on this cd, however the bonus disc makes up for the letdown first disc. Remixes of the songs Words, The Last Broadcast, The Sulphur Man and Satellites and very quality. Recommended for collectors but for those who just want quality tracks your better off downloading the songs above from the internet. B-sides are usually considered songs that didn't cut the mustard, and have to be cobbled together with other B-sides. Not so with brilliant Britpop band The Doves, in their "Lost Sides" collection of rarities, remixes and B-sides. It's not phenomenal, but it's a good collection of Doves' odds and ends. The first disc includes some good B-sides and mixes, such as the electro-psychedelic "Crunch," magnificent "Darker," piano-rocking "Hit the Ground Running" and magnificent "Valley." The second disc contains seven remixes of various "Lost Broadcast" songs; they are, thankfully, not merely adding electronic mishmashes to the existing songs. Instead, they just enhance the preexisting songs. "Lost Sides" couldn't really be mistaken for a regular Doves album; at times you can practically hear the seams where the songs were patched together. There's no cohesion. That isn't to say it's bad, it just sounds like what it is, a B-sides/rarities album. Certainly the quality is far higher than many B-side albums, and the production is smooth and sleek. The psychedelic edge, melancholy lyrics and sort of otherworldly sound are still firmly in place in "Lost Sides." Here and there they stray into different turf ("Crunch," for example), but always come back to their core sound. They even dabble in a some strong classical instrumentation, giving a stately spin to their alt-rock sound. 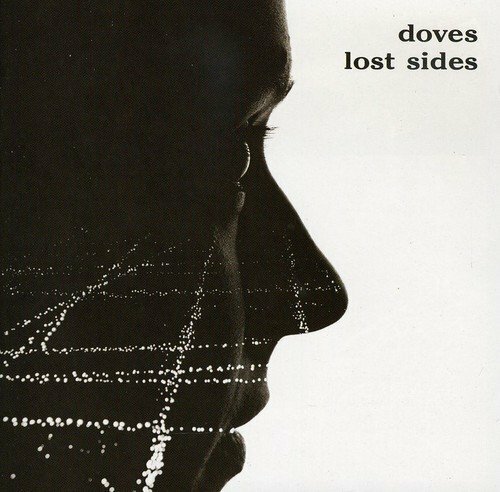 "Lost Sides" is not the place to start for non-Doves fans, but those who already love the band will devour this surprisingly solid collection of remixes, rarities and B-side versons. A nice if fragmented collection. If all b-sides releases out there were that good we'd be close to an ideal world. Alas, it is well known that "b-sides" usually means a blatant cash-in attempt and a rip-off for the buyer. Not the case here though with the Doves. This could easily be a "normal" album with prime material and nobody would have anything negative to mention about the quality level in it. Generally it's a characteristic Doves LP. The dreamy passages and lyrics are there, the post-psychedelia is there (something at which the Doves are pretty adept at), their cool weirdness is there, the gorgeous melancholy is there too. Aside from a couple of unfortunate moments when they come dangerously close to sounding like Oasis this is great stuff. Along with the Dandy Warhols the Doves represent a still fresh sounding scene and this outing here is not just "for the fans" but for anybody with appreciation for cool timeless music. The Doves' biggest trick is that their albums offer a lot of diversity. Along with all the elements i mentioned above the Doves do rock. And when they do, you can hardly resist rocking along. The first disc centres on songs much like from the album "lost souls" - I'm not sure if they were recorded at the same time but it wouldn't surprise me if that were the case. The first cd (containing the first 12 songs) is one that can be played right through, with a fair few instrumental songs (those and the songs with singing are both terrific!). The stand-out track on this disc would have to be the last track "fall from grace". The second disc centres on songs from the album "last broadcast". The remixes are not gross techno crap but digital enhancements on the more emotional musical notes in each song. M62 song is a little faster but stays true to the song. I love the remixes cause it's like listening to favourite songs from "last broadcast" for the first time again. "Sulphur man", "Last Broadcast" and (the best) "Satellites" are such good remixes I'd even go as far as to say I enjoy these versions more than the originals. Satellites is brilliant! Much more orchestral (the violins really amplify the core tune of the song). This is definately worth the buy. Make sure you get the special edition cause the last 7 songs (the remixes) are very quality. alternative radio back in the early nineties--it was one of the Charlatans poppiest and most evocative songs and, in fact, my favourite. I have been holding onto a very old tape recording and wondering about the Charlatans reticence surrounding this song's absence from any proper album. Everything From the dancy The Only One I Know and Opportunity, through their wilderness years of comparatively weak songs like Jesus Hairdo and Theme From the Wish (which overall don't worsen this much), and onto the scintilatng pop hits of North Country Boy, Just Looking and One To Another, is here. Of course no 'Best Of' Collection will please everyone, and I have to say that Telling Stories' title track should've been here. Bullet Comes' sirly psychadelic touches would've been a good addition, and perhaps also a long-lost gem- Life Is Sweet, Chemical brotehrs featuring Tim Burgess on vocals. Still, this shows why this is such a top band, the way they have seen in so many styles and kept following their own evolving path. And to correct the other review- they were not booted out by the record label, they chose to move on. So did Shed Seven for that matter. Great musical journey of the band...but was it necessary? I have never been a fan of 'best of' albums as they seem to be just a way of cashing in on fans, before dropping the band from the record company, as is the case of fellow Brit-Popper's Shed Seven and here to The Charlatans. Having said that, I bought it myself which renders my point useless. 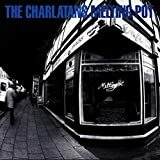 The Charlatans are still to this day sadly overlooked, depite the fact that they are the soul survivors from the Baggy era and seem to improve with every album. This album shows you their smooth transition from acid-house to Brit-Pop and it includes some of the most memorable hits of the '90's. 'The Only One I Know' was the song that launched the Charlatans career using Hammond organ which has been prevelant throughout the bands career. Added to this are Tim Burgess' airy vocals typical of the so called 'Madchester' scene of the time. The equally impressive 'Then', hears Rob Collins use of Wurlitzer against Burgess's fine emotional tune. The spacey 'Opportunity Three' sticks to the Baggy sound with psychedelic vocals and infectious bass and keyboards behind. 'Over Rising' carries on the album's high standard, this time incorporating backward vocals and excellent keyboard work from Collins showing how the band have remained distinct from fellow Mancunians The Stone Roses. The repetitive 'Sproston Green' is saved by the rousing chorus and shows The Charlatans rockier side. 'Wierdo' relies too heavily on Collins' stop-gap organ sound (though he seemed to be enjoying it), and the album falls short of expectations for the first time. Its disturbing sound does fit, though, with the lyrical subject matter, and the song is partially saved by Mark Collins' guitar break. 'Theme From The Wish' is the first of two (unnecessary) semi-instrumentals which are odd choices for a best-of album. 'Patrol' sees the Chemical Brothers dabbing their hands into the mixing as the album reaches 1994. 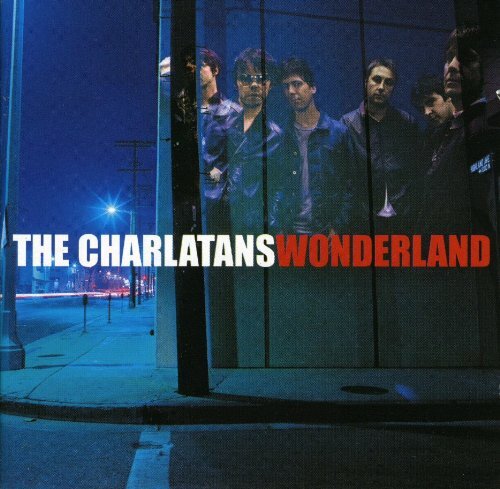 'Can't Get Out Of Bed', 'Jesus Hairdo' and 'Crashin' In' were all written at a time when The Charlatans were unsure of their musical direction, and it shows as the songs fails reach the enthusiasm of Burgess' vocal performance. The psychedelic 'I Never want An Easy...' is one of the few songs from that year that really works on the album, as the song builds up to a great psychedelic-rock climax worthy of vintage Stones. By 1995 The Charlatans were back on confident form shown by their willingness to produce the songs themselves. 'Just Lookin'' and 'Here Comes A Soul Saver' are the first examples of more thoughful, sensitive electric guitar being used by the band. Both tracks create a feeling not captured since their debut album 4 years earlier. Then follows the first all out Brit-Pop tune - the cracking 'Just When You're Thinkin' Things Over' which points to the bands more melodic future. Highlight of the album is the timeless rocker 'One To Another', taken from the bands hit album 'Tellin'Stories' (see my review). It captures the mood of the country during the Brit-Pop peak in the mid-90's and gave the band some rare recognition by being voted as 'single of the 90's' by music magazine, 'Melody Maker'. The album concludes with the countryish 'North Country Boy' giving Burgess the chance to show his love of Bob Dylan that he would persue on the bands next LP 'Us And Us Only'. Can't be called a great album, as it more a collection of hits. 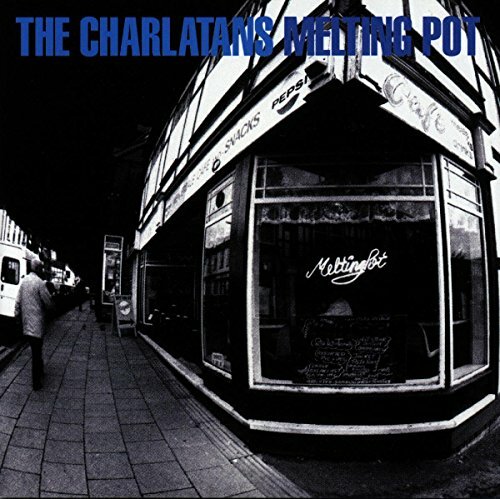 But as these money-grabbing marketing schemes go, The Charlatans' 'Melting Pot' is one of the most deserving. A cracking "greatest hits" collection from one of Britains finest talents.From the baggie opener "Only on I know" with it wonderful hammond sound courtesy of the sadly missed Rob Collins to the pop swagger of "North Country Boy",this would be a fine addition to anyones collection. the band produces emphasizes each genre wholely but every recording is so different than the other. heavy rotation. Other tracks will addict you as well. Lastly, this band was good with album one and they only get better each time out. Number seven is easily worth the money. A great effort from a great band! I have to admit, as a charlatans uk fan of long standing ('Some Friendly', really), I have grown increasingly disenchanted with their direction since the third album. Bought 'Tellin' Stories', and their eponymously-titled album, and was really left pretty flat by both efforts save the occasional song. On this record, they have really come through with a true gem. The song styles are quite varied from mellow, to funky, to dance grooves. Their sound has evolved considerably from the more classic charlatans sound on the first 3 records, which initially got me into this band. They only at times sound like the same band, especially with Mr. Burgess' new falsetto he breaks into from time to time. This is a different sound compared to their early works, but that's not a bad thing. The disc is firmly lodged in my car's cd player which is generally the sign of a good album. It's my current favorite new cd, and I'd recommend it to anyone (ok, maybe not the Top 40 crowd). I can't understand the few negative reviews of this album I've seen here, quite frankly. After being so disappointed in the last few cd's, I was prepared to be let down yet again, but I couldn't have been more wrong. The Charlatans are one of British music's great survivors. What is amazing is that through all the strife they have been through as a band they still manage to produce high quality albums. 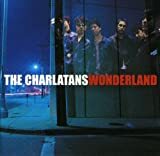 'Wonderland' sees a change in vocal styles from Tim Burgess but this takes nothing away from the album. Highlights for me are "We're So Pretty....." and "A Man Needs To Be Told"
i got 4 charlatans albums. and they're all great. the songs have great hooks. i like how they incorporate elcetronic beats, without drowning out the melodies of the songs. the lead vocals are really good, sometimes reminding of mick jagger's style. i can't get enough of this album. "Need to write more pure rock and roll songs"
This is one of the few albums that I listen to on almost a daily basis. I like that it starts slow, then builds into a blistering cresendo, and mellows out at the end. If Pink Floyd and The Beatles had a kid, then it would be SFA. The SFA is one of my favorite bands and I have all of their cds, and I think Radiator is clearly their best. It is best to listen to it from beginning to the end, as one song flows into another. It is like an epic album and every song is good, especially when the cd is listen to as a whole. My favorite song is "She's Got Spies," which is a great pop song and my fav of all of the SFA songs. This cd is incredibly creative and unique. I think this album is easily one of the best in the past 20 years; it is that good! a meditation on Puerto Rican vampire "goat suckers"
Kula Shaker's debut album was the most beautiful and successful fusion experiment of the '90s. Psychedelic rock of the late '60s meets Indian string arrangements and the result is enchanting, not odd. I was drawn into this album after listening to the UK hits Govinda and Tattva. Some tracks here are out and out rock songs with loud guitars..like Grateful When You're Dead (a tribute to Jerry Garcia), 303, Knight On The Town, Smart Dogs (I thought the last line sounded funny...it goes 'somebody shoot the dog') and Hey Dude (nice karaoke number). Some are slow and haunting with prominent sitar and tabla sounds..like Sleeping Jiva, Jerry Was There (another obvious tribute), Hollow Man and Magic Theatre. The others like Temple Of Everlasting Light and Into The Deep (both are out of this world) are midway between the two styles. The only song I haven't mentioned yet is Start All Over which is nice and slow. So really, I feel there is not one song that's wasted or out of place on this album. Also, it is easy to notice that their sound has a remarkable similarity to that of The Doors. In fact their first single, Sound of Drums off the second album in my opinion sounds like something by Ray Manzarek. Anyway, if you are majorly into bands like Pink Floyd, The Doors and The Beatles don't even hesitate before getting this. It's well worth the price. You Wont Regret Buying This CD. When I listen to this CD, I think of George Harrison and the beatles standing next to the band, leading them along....further than the Beatles went...deeper but the same. Buy it. Buy it with Ocean Color Scheme's "Moseley Shoals" and enjoy. Although their sound is all but original,clearly influenced by the Beatles circa Harrison induced mysticism and psychedelia,plus some Who-like rock gusto,the final result is nothing short from outstanding. 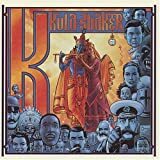 In 1996 Kula Shaker stunned Great Britain with their kaleidoscopic pop which unveiled to the 90's a world full of colours and sounds long gone.Their retro-psychedelia and oriental imagery rendered them peerless but was this separation from the Britpop movement good or bad for them? If it hadn't been for their early demise the results could have placed them in the same footing as the legends they derived from(Beatles,Who). From the infectious Hey Dude to the earth shattering beautiful Hollow Man there isn't a misplaced track,all flowing together to mould an undeniable work of genius and a milestone for the90's. I heard Supergrass for the first time my freshman year of college, around the time of their first disc, "I Should Coco". Since then, I have become a monstrous fan of these British lads, with their brilliant, earnest, but still driving and fun musical stylings. They can put on all the grandeur of the most pretentious bands out there today, but still evoke such natural and visceral feelings. Continuing in the proud tradition of their 1997 disc "In it for the Money," the guys combine great lyrics with music that starts small and swells to a point where you are either singing along at the top of your voice or "Moving" against your will. With wonderful songs like "Moving," and "What Went Wrong(In Your Head)," this is a disc that deserves repeated listens. Lyrically, "Supergrass" is an extremely strong album. In "Shotover Hill," featuring the magical lyric "When I come here, I don't feel so alone - it's alright - I'm solarized," Gaz makes you feel what he sings. Even if you don't know how solarized feels, with the tone and solidity of his voice - you just know. "Jesus Came from Outta Space" provides an interesting take on divinity - "He came down for peace on earth, and he left in a second hand car". These guys are wordsmiths - they come stocked with fresh and interesting lyrical takes on a range of subjects - from the holy family to the immediate family in "Mama and Papa," a beautiful song in its own right, and fit to end the album. If you are a fan of their earlier work, don't think that Supergrass has forgotten to have fun - "Pumping on Your Stereo," "What Went Wrong(in your head)," "Moving," and "Jesus..." all offer great rollicking music. 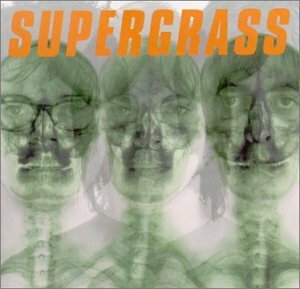 "Supergrass" is an album worth extended listen and study. One time, while I was pulling an all-nighter writing a paper, I listened to this album 25 times on repeat and loved every minute. If you are new to the band or a wary fan, fear not. "Supergrass" does not disappoint. Happy Glam Rock to save the day! After just seeing Supergrass live in DC, it becomes even more obvious what a wonderful band we are dealing with here. I've been a fan since their previous album (see "In It for the Money") and Supergrass just keeps getting better. They were labeled teenage trouble-makers just out to have fun by the British public with their first album (see "I Should Coco"), but the maturation of this band has turned kids having fun with guitars and drums, into a band that continues to show great talent behind the fun attitude. 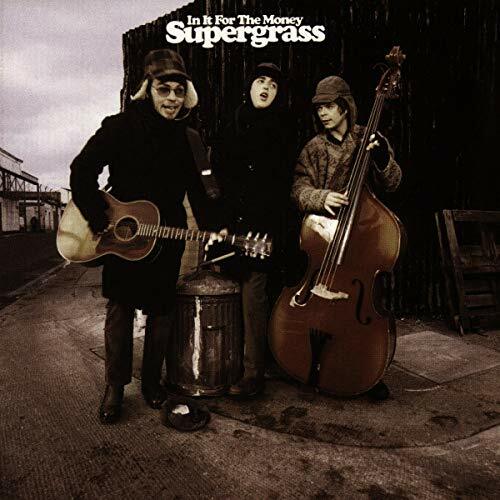 "Supergrass," or the X-Ray album (hence, the cover) as the band themselves have come to call it provides its listeners with really great music. Standing out are songs like, "Moving," the opening track that starts as a soft ballad and by the chorus becomes a "get up and shake that thing" kind of song. Other really great ones include "Mary," "Jesus Came From Outta Space," "Beautiful People," and "Eon." Also, keep your eyes open for their new video/single, "Pumping On Your Stereo." -- One can only hope with Supergrass getting better and better, the best is yet to come. Viva la Supergrass! supergrass a go go buy it now! Having seen Supergrass open for Radiohead in West Palm a few months back, I have to confess that I'm now very addicted to them. I bought this cd first and listened to it 2 or 3 times before getting 'hooked'. It's different and strange and it takes a couple of listens to insinuate itself into your brain--after that, you're doomed! :) "Eon" and "Jesus Came From Outta Space" are my current favorites off of this cd. Life on Other Planets is their next cd, and it is nearly a masterpiece, from beginning to end! I highly recommend that one as well....just ordered their first two cd's, and wish they'd hurry up and crank out another one. Why are Suede not popular in the US? It seems a shame because everytime I play this CD in my car, my friends (even someone who only listens to Aerosmith and Bon Jovi and such) ask me about the band and tell me they love the CD. This is rare for me, because a lot of the other Britpop bands I listen to don't appeal to most people! Anyways, this is a really fun CD. I first heard "Filmstar," "Beautiful One," and "Trash" at a dance club and I was instantly hooked. Now, I'm a huge Suede fan (and not just because Brett is amazingly beautiful)...hopefully, one day Suede will get the recognition they deserve and I won't get the response "You mean the fabric, like leather" when I talk about Suede! By the way, someone said Bernard Sumner was a former member of Suede, which is wrong. Bernard BUTLER was in Suede, Bernard Sumner is the lead singer of NEW ORDER! I just had to clarify because I almost had a heart attack upon reading the (wrong) info that he was in Suede! 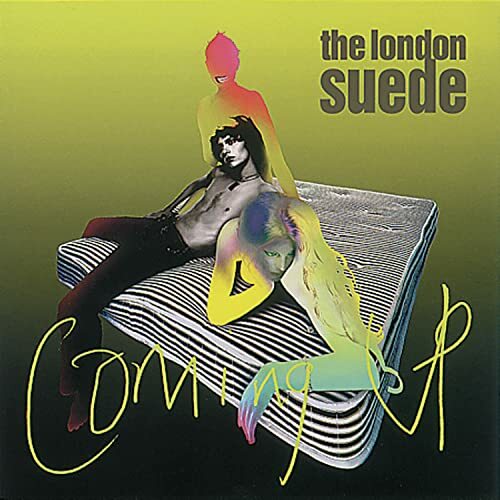 Described by singer Brett Anderson as Suede's "party album", 1996's Coming Up offers up 10 happy, melody-heavy songs in the wake of the apocalyptic message of 1994's Dog Man Star. Coming Up has 10 songs, all concise slices of Britain, but this time quite a bit cheerier. New guitarist Richard Oakes maintains Butler's impeccable technique but tightens it up to drive the songs. Standout cuts include Trash, Lazy, Beutiful Ones, Picnic by the Motorway, and Saturday Night. And the aching By the Sea may be Suede's 2nd best ballad, right behind The Wild Ones. is this suede's best album? probably not..that would probably be dogman star..but this is their most radio friendly album, and that isn't a bad thing. This is probably their most accessible album as well. A good introduction to the band..and I'd recommend picking up Dogman Star as well. You can get a pretty good sense of what this album is like by taking a look at the cover. An anemic shirtless guy, a bored woman whose body seems to be partly made of plasma, and a young man on fire, all lounging on a ratty mattress - yeah, it's something like that. Alternatively, it's loud and feverish with a somewhat tinny quality, first-rate musical decadence with a lot of great chords and choruses, its only fault being an occasional lack of substance. 'Trash' sets the mood perfectly; a very simple lyric carried by the energy of the music and the vocal. 'Film Start' is very stylish, but starts the pattern of songs which don't linger in your mind very long after you've heard them. Although it describes the plight of, well, a film star, it doesn't really give you a sense of a character or situation ("What to believe in when they / change your name, wash your brain, play the game again, yeah yeah yeah"). 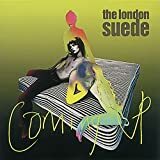 Compare it to some of Suede's other 'character' songs like 'Animal Nitrate:' ("In your broken home / he broke all your bones / now you're taking it time after time.") Also, to digress, compare it to Morrissey's much more powerful description of a similiar situation in 'Paint a Vulgar Picture.' Filmstar does sound good, though; ditto for 'Lazy,' 'She' and 'Saturday Night,' all suffering from a similiar disorder. 'The Beuatiful Ones' and 'Picnic by the Motorway' are superior, with greater resonance, and 'The Chemistry Between Us' is so exultant and energetic that a somewhat weak lyric is forgivable. This is all to say nothing of 'By The Sea,' a song so good it deserves a seperate five stars. An oasis of humanity in the middle of this superficial, glammy album, but not quite clashing with the rest of the material, it's heartbreaking. It really might have done better as the closing track. The only real loser is 'Starcrazy,' a song that seems somewhat formulaic and doesn't sound all that good; I usually skip it, even though the title of this review was taken from the lyric. This is probably my favorite Suede album! And I'm sure everyone in this world will love Suede and this album! Forget about the lame excuse for a debut Leisure was, as Modern Life Is Rubbish is where Blur, & more importantly Britpop, has really begun. 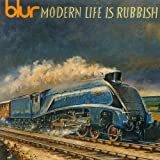 I think that Blur is one of the few bands in the world who managed to release three successive albums all in the same vein (Modern Life Is Rubbish, Parklife & The Great Escape) without sounding redundant or repetitious. With an intro song reminiscent of "For Tomorrow" it really is hard to miss, & the album never quite does. All of the songs here are catchy, noisy, exuberant & fun to listen to- Just the way Britpop's supposed to sound. Unlike voluntary rivals Oasis Blur's lyrics (Or more accurately, Damon's lyrics) were throughout the entire trilogy listed above focused, poignant & furthermore- They really managed to seize those ickle insipid moments in life so exquisitely, which is something Noel Gallagher's easilyrhymed, predictable couplets could never compete with. "Intermission" & "Commercial Break" are classic Blur travesties (There's @ least one on each of their albums so give heed), whilst "Miss America" is delightfully enjoyable, albeit somewhat eerie ("Jemima ho ho"? This line ain't gonna leave my head for a month or so!). Standout tracks are the aforementioned "For Tomorrow", "Colin Zeal" & "Star Shaped"; However my personal favourite would just have to be "Sunday Sunday", a song you just have to be thoroughly stupid, demented or deaf to not like. "Leisure"(1991)was still the product of a band in the search for their own sound(though having one of Blur's best songs-"There's no other way")and litlle prepared for success,as the black hole they entered after "Popscene"(1992)plummeted down the charts showed.Virtually written off by every journalist in Britain they set out to prove their worth,honed their pop formula,found their own voice and released their first great album-"Modern Life is Rubbish"-ressurrecting for the 90's the british spirit of bands like the Kinks,Squeeze or Jam(Which is visible in the superb retro cover). FOR TOMORROW-One of Blur's trademark songs;the guitar in the beginning followed by Damon singing "He's a twentieth century boy"(T-Rex anybody) still make for one of the best song intros(and albums for that matter) in modern music history. ADVERT-An excellent tune with outstanding vocal harmonies in the chorus. COLIN ZEAL-The closest to the KInks sound,and all the better for that. PRESSURE ON JULIAN-Reportedly about Julian Cope(it sees Blur acknowledge one of their influences)it's a great track in the spirit of the album. 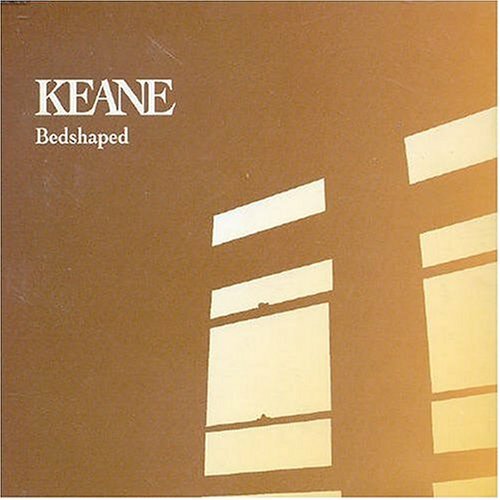 STARSHAPED-The most uplifting track,it hasn't got though a chorus to match the verses feel of teenage gusto. BLUE JEANS-The most gorgeous melody in here,one of the standouts. CHEMICAL WORLD-Faster than the last one,was one of the singles. SUNDAY,SUNDAY-The most direct song of this recording,great guitar,vocals,chorus and it's fast too.Perfect. OILY WATER-The worst track,probably because the demo version of this song was considered good enough to be in the album,well it wasn't.Should have been more worked upon. MISS AMERICA-Possibly Damon's best vocal perfomance lies here.After repeated listens the "I don't mind at all,I love only you"still manages to do it every time.This country tinged song is in fact somewhat distant from Blur's usual sound. VILLA ROSIE-Could have been penned by Ray Davies.One of the album's best. COPING-Powerful.The album's last great song. TURN IT UP-A rather incomprehensible song but still kinda cute. RESIGNED-The record's last cut is a pretty,mainly ambiental track. This album marks the beginning of Blur's golden age in a masterful way. Excellent sophomore effort from Blur! After the promise of 1991's Leisure, Blur finally offer up a masterpiece of recording with their second album! 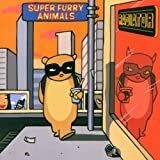 Damon Albarn decided to write songs with a decidedly British slant, both lyrically and musically, and along the great musicianship of Graham Coxon, Alex James, and Dave Rowntree, produced this wonderful album. Landmark cuts include the jaw-dropping For Tomorrow, Chemical World, Starshaped, Oily Water, Sunday Sunday, and Blue Jeans. Although the quality drops a tad near the end of the album, overall this is a tight, wonderful album. American fans should buy the USA version, as it's the only place you can get Blur's amazing 1992 one-off single Popscene. The Madchester scene was helpful in getting Blur a record contract, but the image that it left them dragged them down as the scene faded. Blur needed a vision. On a tour of America, memories of their british homeland inspired them to write the songs that would become Modern Life is Rubbish, arguably the beginning of britpop. There is still a hint of their Leisure days on tracks like Oily Water and Turn it Up, but other than that, Modern Life is Rubbish is a leap forward for Blur, a reinvention. This is a band that mines the history of British music, from the Kinks-style satire of Sunday Sunday to the Syd Barrett-vibe of Miss America. It even pays tribute to Teardrop Explodes lead singer Julian Cope on Pressure on Julian. This is a band that gives us goofy instrumentals between tracks. This is a band that pokes fun at commercialized world, on songs like the punky Advert and the resigned Resigned. This is a band that thinks the rush of the city isn't worth it, as heard in the lyrics of Coping and Colin Zeal. This is a band that thinks Modern Life IS Rubbish. Modern life may be rubbish, but the performance of this album isn't. Damon Albarn's voice is a lot more confident than it is on Leisure, and the lyrics are more complex, and sometimes downright funny. ("practice doesn't make perfect when you're interbreeding", from Villa Rosie). Damon also gets to show off his talents on piano and a wide variety of keyboard, something he didn't get to do as much of on Leisure. Graham Coxon's guitar playing is delicious, as catchy and as vibrant as you can get for this kind of music. Both Alex James' bass and Dave Rowntree's drumming are varied and help to keeps things interesting. Some reviews have called this album weird. It's not that weird at all, pretty straightforward, catchy pop-rock melodys and choruses, with lyrics you can understand. It's just pop music with a sense of humour, the way the Beatles and the Kinks were. A couple of drawbacks. Stephen Street's production may have helped broadened Blur's sonic horizons, but sometimes it's the overall effect a bit flat and echoey. The occaisonal song gets a bit repetitive as well. Just nitpicking, really. It's a good album! If you like your rock music poppy, clever and stuff you can sing along to, this would be a good album for you. It's awfully underrated, mostly because it is overshadowed by its follow up, the Britpop blockbuster "Parklife". For the newcomer, this a particularly good album to get if you are after an album similar to the Best of, as there's only one track from this disc that made the Best of, so not much overlap. Modern life may be rubbish, but its a little more enjoyable with this album in your CD player. Not a new release by any means, but spinning in my head for good reason. Blur's second album, released in 1993, was a direct invite into the stormy world of Britpop, which was about to explode into mainstream. In the United States, the extension of Britpop leads only to Oasis and very early Radiohead (which is a shaky comparison at best), and often gets bogged into the sugar-pop of the Spice Girls or the alt-grunge of Bush before being recognised as its own separate and definitive category. Blur remain the lone symbols of what was once Britpop, having just released a 7th album to number one sales and singles and receiving a recent vote of album of the year by Q magazine (surprisingly ahead of Radioheads latest). Where Suede have disbanded, reformed, disbanded, and now are allegedly reforming again, Oasis have declined to repetitive schlock, and Radiohead have turned their heads to the left-field, Blur have survived through the gentle art of constant reinvention, while still retaining a core sound. MLIR Marks Blur first foray into what became "traditional" Brit-Pop. They tore off their 'baggy' style (enforced upon them by the execs at Food Records) and replaced it with a tongue-in-cheek cynicism that was distinctly...well...British. While fool's gold tracks like "Sunday Sunday" and "Turn it Up" are easily mass-pleasure romps, the rest of the album is a vignette of 1993 from the UK perspective. I say this because a vignette of 1993 from the US perspective would consist of a one word answer that starts with an 'S' and ends with an 'eattle'. The album opens with "For Tomorrow," one of the "hit singles" frontman Damon Albarn was told to write in order to get his band's follow-up to 1991's Leisure released. This track is one of Blur's attempts at intentionally mainstreaming their sound, with fantastic results. The song is a post-glam David Bowie on a strict diet of 'Hey Jude' (hear the chorus and you'll know what i mean), and is one to remain stuck in one's head for days. Couple this sound with Albarn's clever cockney, and you have Blur's original basic formula. Other tracks in the "Blursound" that are reserved for mainstream listeners are "Villa Rosie," "Popscene (available on the US edition)," "Coping," and "Chemical World." All these tracks are uniquely satisfying slices of Britpop. What really makes the album withstand the test of time, however, are the 'non-single' style tracks, namely "Blue Jeans," the hidden tracks (68&69)"When the Cows Come Home" and "Peach", and the lovely "Miss America." The Manic Street Preachers are a truly enigmatic band, and one that I have a deep love of. So I'm at such an utter loss how such a mess could have been made of this greatest hits album. Firstly the term greatest hits is rather appropriate, as compared to the best of because not all this songs are their best. "Holy Bible" is horribly under represented, with "Faster" that albums only offering on here. Why? "Holy Bible" was by far the Manics best album yet its virtually ignored. And where is "Roses In The Hospital" that song certaintly a hit and was better than many songs on here. Eight of these songs come from two albums, so a more proportional mix would have been nice. Secondly why couldn't this have been arranged in chronological order. Listening to this, the way it jumps all over the place is frustrating there is frustrating. Plus showing the bands sound develop and change, particularly in the post Richie period would have been good. 1. A Design For Life: (6/10) Lyrically this is strong, perhaps Nicky Wires best effort ever. Dissapointingly the music is lack lustre, somewhat bland and uninspired. 2. Motorcycle Emptiness: (9/10) Surely one of the best Manics songs of all, time. The opening coda is perfect, and this pop rock gem is timeless. 3. If You Tolerate This Your Children Will Be Next: (8/10) The clumsy title is a nusance, but the song is terrific. Epic, poignant and hits you like a hammer blow the head. 4. La Tristesse Durera (Scream To A Sigh): (7/10) I love the words "sceam to a sigh" is almost prophetic. The guitar solo is awesome, though the song can get tiring. 5. There By The Grace Of God: (9/10) A new track, well worth a listen, while very much from the later Manics sound stable, its one of the best ones. Sweeping and graceful, sad to the point of being heartbreaking. Makes the album worth buying for true fans. 6. You Love Us: (7/10) Very rock and indicative or early Manics. The guitars are again superb, though the song is somewhat bland. 7. 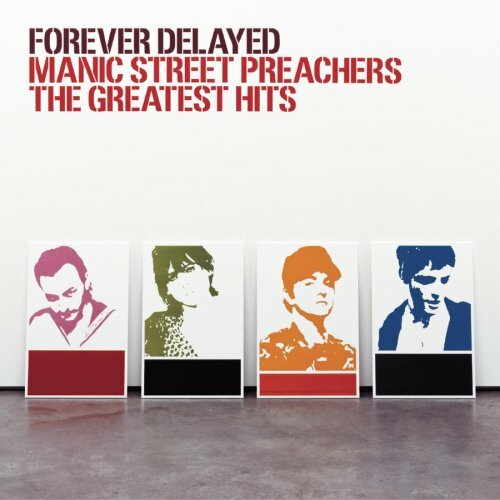 Australia: (10/10) Perhaps the Manics best song ever, and the best on this album. My personal favourite. A perfect mix of the best of the bands early and latter sound. 8. You Stole The Sun From My Heart: (5/10) The worst song included here. Fine for any other band, but its hardly worthy of the MSP. 9. Kevin Carter: (8/10) Great rocker. Richie had his hand in this before he left us. The layering of the instruments its fantastic. Imagine if the Manics had covered an outtake from "London Calling". 10. Tsunami: (6/10) Very indicative of latter period Manics. Something just doesn't gel here. Its not rock its not pop. Average. 11. The Masses Against The Classes: (7/10) Latter Manics go early Manics. Could have been on "Generation Terroists". Though its almost like Nirvana making a song called "I'm Depressed And Want To Die", just kind of too Manics. 12. From Despair To Where: (9/10) Great ballad, makes me miss Richie like hell. 13. Door To The River: (6/10) Another newy. I just don't get it. Nothing against slow songs but this is just boring, and could be from any MOR power rock band. 14. Everything Must Go: (8/10) Experimental with their sound. Doesn't rock, more of a crying in the cornor at 2 in the afternoon type song. 15. Faster: (9/10) "Holy Bible"'s only offering here. Hard to understand what's being said sometimes, but its fast and catchy. The opening speech is great as well. 16. Little Baby Nothing: (8/10) The duet song. Very solid, and again is catchy and fun. A little bit too much Manics lite. 17. Suicide Is Painless (Theme From Mash): (9/10) Cover of the famous song. I love the guitars on this, going from ballad rock to heavy metal monsters. Works well, though I still like the original better. So sue me. And as this isn't on an album is give the album more woth. 18. So Why So Sad: (8/10) Despite the fact that nothing the MSP's have done before sound like this I like this song. Its kind of Beatlesish cira 1968. Very pop. 19. The Everlasting: (8/10) Sorrowful and dramatic. Another epic. Though it can get tiresome. 20. Motown Junk: (10/10) This holds up well, I really love this song. It just rocks, and nothing else sounds like this. So great, second best song. Again I say, this just doesn't work. Its like some record executive just pulled the songs out of a hat and put them on in that order. This could have been so much better *sigh* I still love the Manic Street Preachers, but I urge anyone to get all their albums first. And if you get this, get it for the non album tracks. Obscurity in America is un-Deserved? I had no idea this collection was coming out until I found it this past Tuesday at the local Borders. I've been a fan of the Manics for years, and was lucky enough to see them and the Screaming Trees opening for Oasis in '96. Simply put, this band is special. This collection will show you fantastic songs accompanied by thoughtful lyrics, soaring vocals and passion. They come across as a bit glam due to the clarity and range of vocals, but this music has teeth. Buy this collection today: if you don't find at least 5 songs that become favorites, there's something wrong with you. 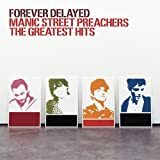 As other reviewers have said, this covers more of the recent Manics albums, but you can't go wrong with "Everything Must Go","Design for Life" "Tsunami" "La Tristessa Durera" "motorcycle Emptiness" or "Australia". Brilliant brilliant brilliant. Their sound is different from the usual garbage on American radio, and someone's inability to promote these guys points to the general idiocy of the music industry in America and the citizens' willingness to accept the only thing offered to them. Perhaps obscurity in America is contra-indicative of talent. Buy this today and play it for all your friends. First off I will say this is the first Manic Street Preacher I bought. After listening to it, I ended up buying all their albums. All the songs on the album are great but after listening to all their albums, you realize that there are so many songs that should have been put in and others that shouldn't. Like many reviewers say, it was disappointing that one only song from the Holy Bible was put on there. The Holy Bible was the Manic's best album yet only Faster was the only song on there. This album is still a good way to start if you want to get into the Manic Street Preachers. I was some what disappointed to listen to Forever Delayed. I thought that the album could have benefited from a couple of tracks from the Holy Bible album. On the bright side though, I think that the remix disc is a great extra to the album. If you are unfamiliar with the music of MSP, then this would be a good introduction to them. If you already own their albums, then this would only be good for the extra disc. MSP is a rock band, very popular one! This collection includes their greatest hits and two new tracks "Doors to River" and "There by the Grace of God". Well, there's some very good classics "Design for Life", "Motorcycle Emptiness", "If You Tolerate This", "You Love Us", "Masses Against the Classes" (quite heavy track)!!! etc. My favourite tracks are "So Why So Sad", "You Stole the Sun from My Heart", and a touching track "Little Baby Nothing". There's some very good classics but there's also quite boring songs or basic rock songs that shouldn't be here for example "Motown Junk". There's also only one track from the album "Holy Bible". It's "Faster". This is just a brilliant, fantastic, great, awsome and marvellous song. I've run out of superlatives to throw at this Oasis tune, my second best from them behind Champagne Supernova (and that is a amazing song). I just love this band. If you've never heard this song before than you are missing a gem. There's a rawness and honesty to avowed Socialist Billy Bragg's lyrics in this, his "difficult third album," that works well with his not-ready-for-prime-time vocals and makes songs like the haunting "Levi Stubbs Tears" and the clever "Marriage" and playful "Greetings to the New Brunette" worth listening to again and again. But those are offset somewhat by the annoyingly anthemic "There Is Power in a Union" and "Help Save the Youth of America," which render the last half of the CD far less listenable than the first. Of course, you've got to be somewhat of a Billy Bragg fan to even know this CD exists, in which case you probably already own it... but on the off chance someone just turned you on to Bragg and you've only heard some of his newer stuff, I recommend you give this CD a chance. IMHO it's his best album, with "Levi Stubb's Tears" his best song. 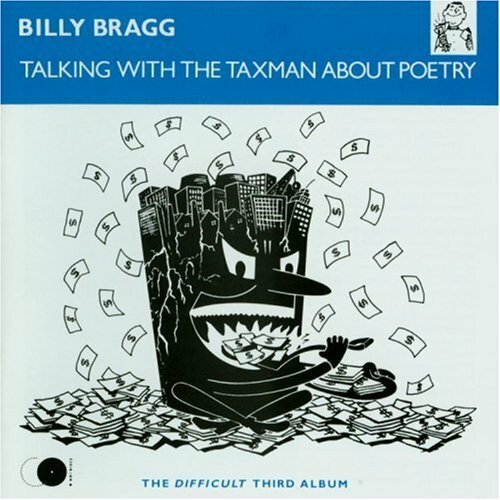 TALKING WITH THE TAXMAN ABOUT POETRY is my favorite of Billy Bragg's albums. All the songs are strong, especially "Greetings to the New Brunette," and Billy's passion for his subjects has never seemed so strong as it does on "Ideology" and "Help Save the Youth of America." The lyrics are great too. Here's a sample: "If I share my bed with you / Must I also share my life / Love is just a moment of giving / And marriage is when we admit our parents were right"
Bragg's political edge is only sharper on THE INTERNATIONALE. His personal songwriting excels on "The Marriage" and a few others, but it's no wonder why Billy lacks success on the USA pop charts. These intelligent, mature love songs and political anthems surely don't help to sell suntan lotion and diet colas, do they? I first heard this in 1988 or 1989, most likely, and it just sounded true and authentic. It was sincere without being sappy. I realized I was listening to something great, and I became a fan of the album. Only later did I discover other albums by Billy Bragg. If I could thank Billy Bragg for one thing, it would be TALKING WITH THE TAXMAN ABOUT POETRY. If you've enjoyed other albums by Bragg, I recommend this to you wholeheartedly. I'm serious, no joke. I must say, I have acquired all the other Bragg albums, but this really is the worst of the bunch, and that really disappoints me. I was hoping for a lot, but this really did fall short of my expectations. If you have any money, don't buy this rubbish. "Taxman About Poetry" is absolutely one of Bragg's finest albums. This album also features a wider range of instruments other than just an electric guitar, though not a full backing band. Like its predecessor, "Brewing Up With Billy Bragg" (which can be found on "Back to Basics") many of the songs on this album sparsely arranged, the most prominent extra instruments being horns and percussion. Some of Bragg's best material can be found on this disc, most notably "Greetings To The New Brunette" - a beautiful acoustic love song featuring some impeccable guitar work from The Smiths' Johnny Marr, and "Levi Stubbs' Tears" - a bitter, yet catchy song about a battered woman. Some other goodies that aren't as well known include "Wishing The Days Away" - a jaunty country song, "The Warmest Room" - a mouthwateringly mellow rocker with funny lyrics, "The Passion" - a real tear-jerker of a song about a dysfunctional relationship (again featuring Marr on guitar) and "The Home Front" - a profoundly moving piece of social commentary on working-class family life in Britain. However, although there are some standouts, there is really not one bad song on the entire album. Now that the 90's have come to a close, this album still stands as one of my Top 25 albums of the decade. This debut album is a brilliant, quirky blend of dance and techno sensibility combined with 60's retro pop melodies with lots of odd noodlings and samplings thrown in between. 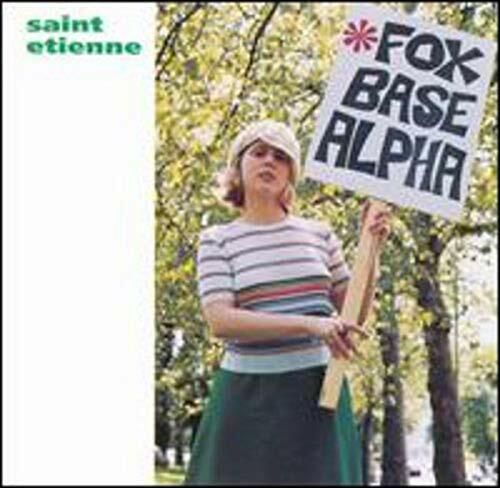 Saint Etienne still haven't bettered this album to date. Sarah Cracknell's like-honey vocals are sensuous and sincere, harkening back to the such 60's songstresses like Dusty Springfield, Petula Clark and Diana Ross. Instrumentalists Stanley and Wiggs' clever and masterful arrangements prove that they are electronica innovators in their own right. Listen for the odd vignettes "Etienne Gonna Die" (composed entirely of a snippet of dialogue from the film "House of Games" backed by menacing tribal-jungle percussion) and the psychotic "Wilson". Standouts are "Only Love Can Break Your Heart" (a classy club rendition of Neil Young's song), "Spring" , She's the One", "People Get Real" (my all-time favorite Etienne song), "Stoned to Say the Least" (ambient-dance bliss), "Nothing Can Stop Us" and "Kiss and Make Up". My first taste of St. Etienne was the brilliant "Good Humor." Being a full time Cardigans fan at the time, it was a wonderful alternative and it still gets frequent spins in my player. This album, Foxbase Alpha, was my second. I chose it next because I liked the cover (it's my opinion that a cd, unlike a book, can be judged by its cover). It was quite different, and initially disappointed me. But soon I came to love it, possibly more than its descendant, Good Humor. Where that album is a collection of pure, simple, normal pop songs, this is more atmospheric, eccentric, and dance-able. There are some very strange experimental tracks that are quite intriguing. Wilson is very funny (do you hear someone saying "LSD" toward the end? ), and Etienne Gonna Die is essentially a nervous drum beat with a conversation from a movie played over it. Dilworth's Theme (38 seconds long) is painfully off-key, but in a weird way that makes it charming. I absolutely love that humming noise used in People Get Real that oddly fits into the song. It reminds me of listening to a loud oscillating fan while drifting off to sleep. Yes I know that's very strange, but I can't exactly explain it. For the most part, the songs have heavy, attractive beats that you can't help but dance to. One such song is the hit cover "Only Love Can Break Your Heart," which stands out, even without Sarah Cracknell's vocals. Speaking of her voice, it is very nice, like a mix between Debbie Harry's and Nina Persson's(who I secretly worship). On this album it is sometimes filtered and has lots of echo on it in places, and this adds very much to the whole atmosphere. This release is simultaneously more playful and more experimental than their most recent albums. One of my personal favorites ever, play this cd whenever you're down, or just want some high-quality dance music. Saint Etienne's debut is brilliant. The music, is mainly a blend of house, hop-hop and classic 60's pop, but many other styles are added to the mix. The vocals (in almost all of the songs, by Sarah Cracknell) are breezy and sensual. Songs like "Spring", "Nothing Can Stop Us" or "She's the One" are catchy, beautifully constructed pop gems. But this album's strongest point is definitely its power to congure up images of places and times, lost sceneries we'd wish (or dream) to be part of. Some tracks, like Wilson or Etienne Gonna die (as well as other non-proper songs consisting mostly of spoken samples) may become a little tedious and feel too long, but serve to the purpose of leaving the listener in a confused, unattentive state to be pleasantly broken by another lovely song. I definitely recommend this album and rate it among the top five of the 90's. The first album by Britain's alternapop group Saint Etienne helps in establishing the band's early sound. "This is Radio Etienne" is one of two non-song interludes that are in the album. This one takes a French football radio program's theme music and French commentator Jacques Bordeux's words before launching into a cover of Neil Young's "Only Love Can Break Your Heart." I haven't heard the original but I'll say that this version is tempered but upbeat, with piano accompanying the synthesizer beat. Sarah Cracknell's waifish vocals is a softer and lightly sugared variation of Susanna Hoffs or Belinda Carlisle's vocals. The sound is something that Ace of Base would later use in "All That She Wants." That is followed by the drug-looped psychedelia of "Wilson," a collage of British phrases repeated against a backdrop of slowed down techno-beats. Phrases such as "Would you like some sweets, Willie?" from an elderly aunt-like figure gets mixed up with "LSD" to evolve into "Would you like some LSD?" The aunt figure asks Willie "What would you like then?" Willie, a young boy, answers "Can I have one of these and one of these and two of those please?" and also "Come on auntie, we'll miss the bus!" A male announcer calls for "Mr. and Mrs. J. Summers" and all these phrases gets repeated over and over. The effects of Willie's LSD trip, maybe? "Carnt Sleep" has a bass backbeat and is a bit more relaxed, like a poppy version of bossa nova. Sarah's dreamy vocals is different from her opening number and this is the essence of her voice. "Girl VII" has a quick-paced beat and some lyrics before Sarah launches into a spoken-word speech on 4 June 1989, which was the date of the Tiannamen Square Massacre, and mentions random places like: "Primrose Hill, Staten Island, Chalk Farm, Massif Central, Gospel Oak, Sao Paolo, Boston Manor, Costa Rica, Arnos Grove, San Clemente, Tufnell Park, Gracetown, York Way, Videoton, Clerkenwell, Portobello, Maida Vale, Old Ford, Valencia, Kennington, Galveston, Holland Park, Studamer, Dollis Hill, Fougeres, London Fields, Bratislava, Haggerston, Lavinia, Canonbury, Alice Springs, Tooting Graveney, Baffin Island, Pollard's Hill, Winnepeg, Plumstead Common, Hyderabad, Silvertown, Buffalo." The repeated refrain sounds like "has been away from" but is actually "Carrie has a boyfriend"
"She's The One" is about a girl "who thinks nothing of breaking up two people in love." And "in this world of ups and downs" to boot. "Spring" exalts the time of youth and love, where Sarah tells her young man that he's too young to be through with love after a bad time and that she'll be different. With the xylophone and string-like "Theme From A Summer Place" sound, it's another mellow fresh breeze of a tune. The bass and string-backed "People Get Real" features Sarah's vocals done in a haunting echoing effect that's later repeated in other songs here "Dilworth's Theme." There's the instrumental "Stoned To Say The Least" which isn't as trippy as "Wilson" which has a pounding bass, soon joined by a high-hat, claps, the usual light-techno beats, and an effect reminding me of the sun slowly rising. "Nothing Can Stop Us Now" is the other singleworthy song here. It's upbeat, with some chirpy woodwind-like keyboards here. However, Sarah has a monologue separate from her haunting vocals, which sing the verse, while her pop voice sings the chorus. "London Belongs To Me" is a mellow dreamy song done in Sarah's echoing voice. The tempo picks up in "Kiss And Make Up", which has Sarah doing a mea culpa on saying hasty things she didn't mean and to well, "let's kiss and make up." Another good dance club number. And "Like The Swallow" begins with a wall-of-sound instrumental before the song starts about a girl who is "like the swallow that flies so high. She's like the river that never runs dry." The slow closing ditty of "Dilworth's Theme" mirrors what listeners who enjoyed this album might say to Sarah: "Oh babe, I know you've gone./I won't be sad alone /'cause the song that you left me/has the sweetest refrain." 90's alternapop is the way I'd categorize Saint Etienne's early oeuvre, and coming as it did in 1991, they were ahead of their time. 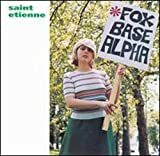 Foxbase Alpha is also the first of three "conventional" albums before SE launched into their hybrid ambient-pop beginning with Good Humour in the late 1990's and continuing today. It pales in comparison to So Tough or Tiger Bay, but a good starting effort that established what SE was about. This to me is one of the most under-rated and most over-looked albums of the last decade. It is littered with Classic Rock references (Beatles, Pink Floyd, Yes, Moody Blues) without being entirely derivative or a museum piece. Plus, these are great songs in their own right and are sshowcased by stunning arrangements and musicianship. Most of all, these guys know how to rock. The brauvura guitar work on the first two tracks is worth the price of the album alone. If anyone's planning a New Milennium/End of the World car tape, I can recommend Great Hosanna as your opening track. The Indian motifs and the elements of mysticism add something extra to what is already an unforgettable set. Oh, and there is one pop gem among the hard rockers - Shower Your Love - Beatlesque in the finest sense. If you're like me and think rock music has gone to the dogs, this album will re-inspire you. Guaranteed. It's a tragedy they broke up after this one. Forget Oasis, Blur and the other Britrock pretenders of the 1990s. Kula Shaker are the kings. Wake up! And Discover the Kula Shaker Experience! 2 great albums 1 very good EP and what do they do? Implode like the Stone Roses and The Verve! It's a shame that we won't hear those soaring melodies, swirling organ jams and incessant rock 'n' roll rythms from Kula Shaker again! Too bad 'coz Kula Shaker managed to fuse the classic rock sound of the late 60s and the ragas of Indian music with an aplomb that is unparalleled and without meandering into self indulgence. Peasants... manages to sound melifluous and joyous without losing the edge mainly because the band never loses focus of their objective... to make a great rock album. Great Hossanah is a great opener of a song with a truly superb guitar into! "Mystical Machine Gun" makes a smooth progression from a Indian Intro to a great mid-tempo rocker! "Radhe Radhe" is the only song in the album which gives you the "been there done that" feeling because it's so similar in structure and treatment to "Govinda". But to me the standout track in this CD is the gorgeous "Shower your Love". Right from the first refrains of the Shenai, this beautiful song progresses to being a melodic tour de force. It's an instant classic in a time of digitally mixed electronica and the same sounding alternative songs that seem to dominate the airwaves these days. The rest of the songs in the CD are not as strong as the above mentioned but "108 battles" and "sound of drums" make an impression. This is one strong and consistent album. 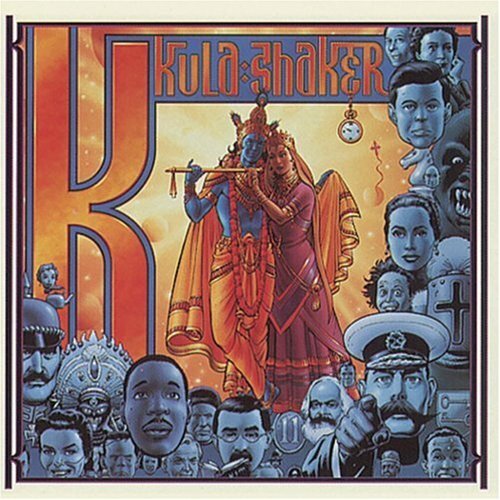 Kula Shaker may no longer be the flavor of the month here or back in the UK, and they may not sell millions like those sugary boy bands, but to me they are one of the most innovative and creative music acts in a bland and oh so boring musical canvas of the late 90s. like i said about their first album....one of the best albums of the 90's...same thing about this album. great pshychedlic rock . it reminds me alot of the beatles(late 60's) era. by the way who's idea was it to bring out there "best of"? just get their 2 albums. Shower your love on this Album! 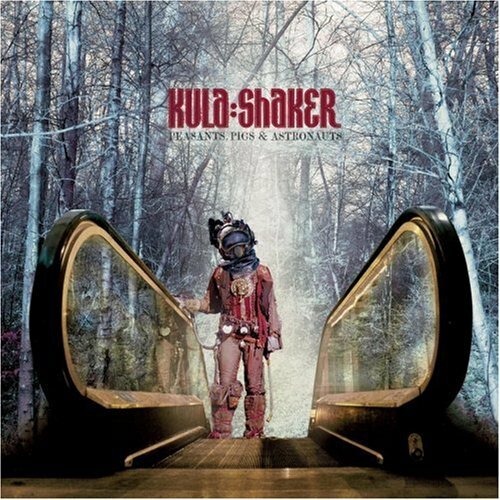 I discovered Kula Shaker quite by accident but I am so very glad I did. This CD is one of the very best I own. Awesome music and inspiring lyrics make it a must have for anyone who likes music! Great Hosannah ... praise be the Lord what an opener. Mystical Machine Gun ... blows you away! Shower Your Love ... amazing!